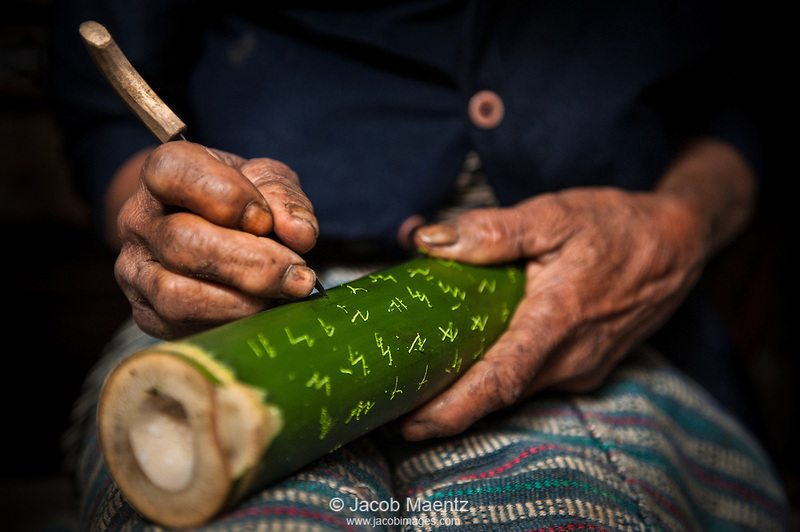 Mindoro Island in the Philippines is home to two closely-related, incised-in-bamboo endangered alphabets–Hanunuo in the southern part of the island, and the less well known Buhid farther north. It’s a sign of how accustomed we have become to the notion of writing in parallel horizontal lines (and also of left-handed people being expected to write the same way as right-handed) that these scripts have caused great confusion among outside observers. 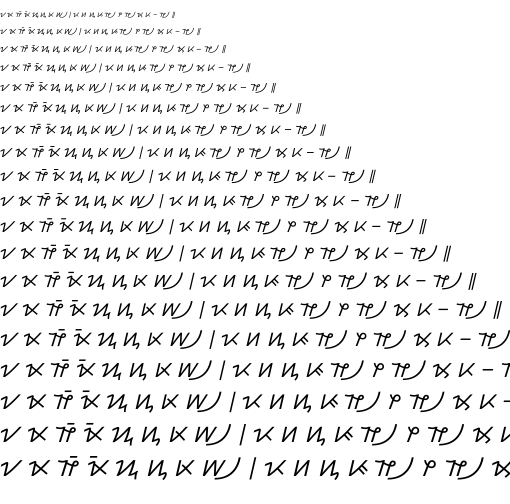 Some thought the script was vertical, others left-to-right or right-to-left, even bottom to top. 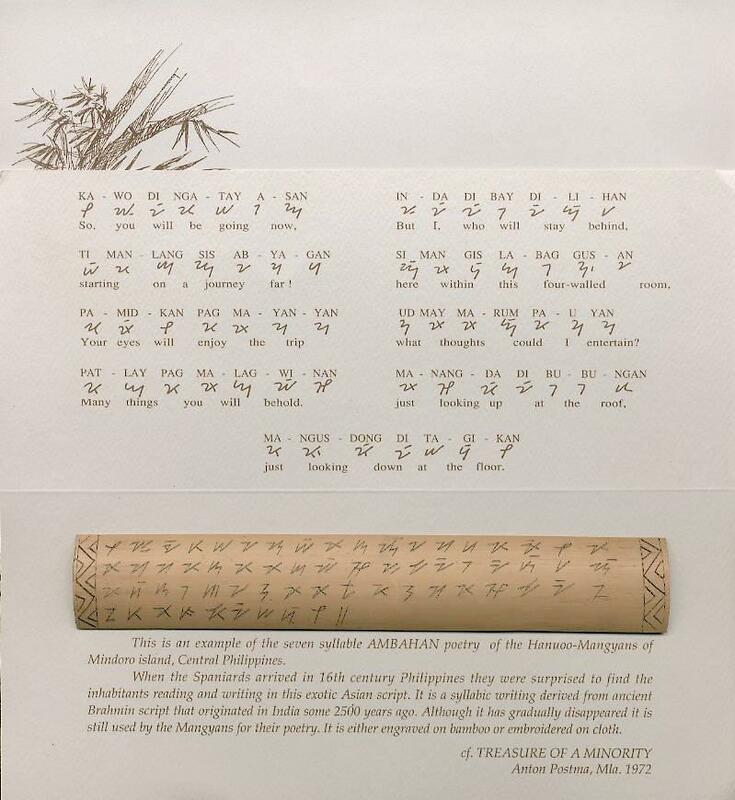 Historically, young Hanunuo men and women learned the Hanunuo script in order to write each other love poems. The goal was to learn as many songs as possible, and using the script to write the songs facilitated this process. Nowadays they are more likely to use digital devices, which are unlikely to support the Hanunuo script. Starting on a journey far! Many things you will behold. What thoughts could I entertain? Just looking down at the floor. 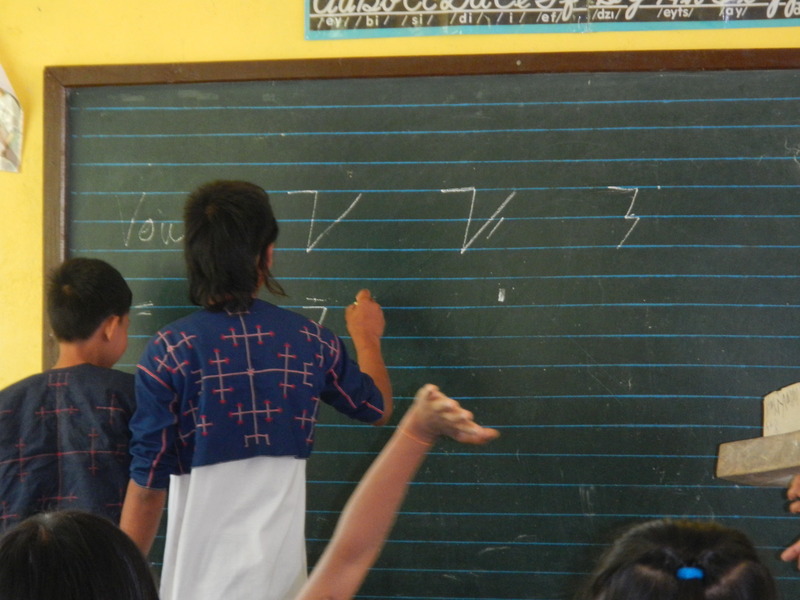 The Mangyan Heritage Center has started teaching the Hanunuo Mangyan Syllabic Script in Mangyan public elementary and secondary schools, partnering with the Department of Education to give a one hour once a week schedule for each class in selected schools. 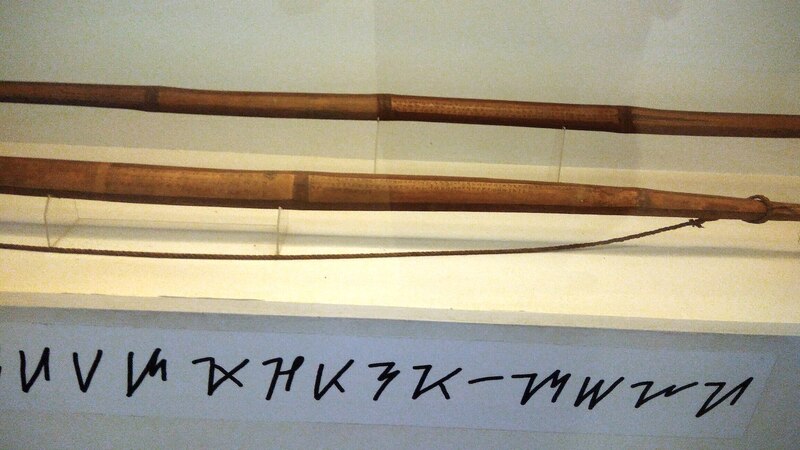 The Center has a Primer to Mangyan Script which they use to teach the script. 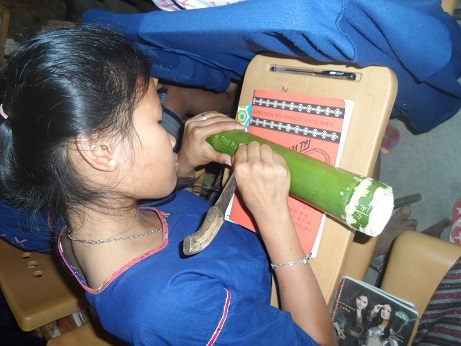 They have also published books on Mangyan literature, including ambahan poetry, and other cultural practices which are integrated in the teaching of the script. 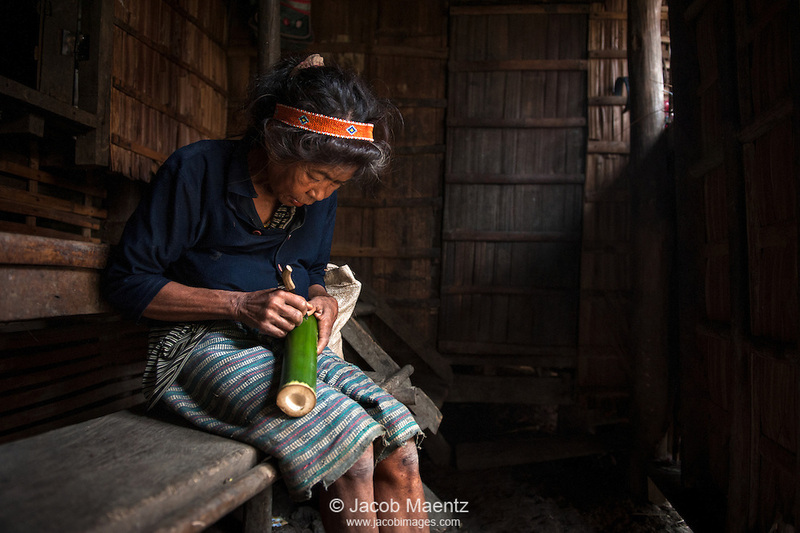 The teachers are community elders, the bearers of their culture.